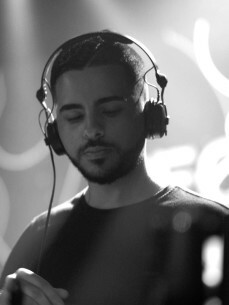 SHDOW was born and raised in Iran but however at the age of 18 he decided that he wanted to move to the Netherlands in a quest to explore new life. In the Hague he visited his first techno event which soon after led to him developing his passion and love for techno music, after his first gigs in the Hague he had also taken the underground scene in Amsterdam by hand and is rapidly growing since. He has already performed in stages such as: Techno Tuesday Amsterdam (Melkweg Amsterdam), Marktkantine, Excess the Movement, Panama, Ruigoord, Undrgrnd, Oak, Cinema and Magistrat and he has made his ADE debut last year during Amsterdam Dance Event. In a short period he already has had the honor to share the stage with artists such as: Ramiro Lopez, Tom Hades, Jayzo, Dexon, Frank Kvitta, 2000 and One, Drumcomplex, Prunk.